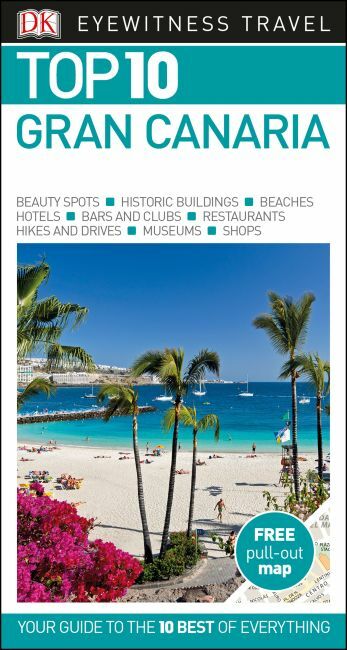 An unbeatable, pocket-sized guide to Gran Canaria, packed with insider tips and ideas, colour maps, top 10 lists, and a laminated pull-out map - all designed to help you see the very best of Gran Canaria. Spend time in coffee shops in Vegueta, go hiking in the mountains at Teror and Tejeda, or see the incredible sand dunes at Maspalomas. From Top 10 restaurants to the Top 10 outdoor activities - discover the best of Gran Canaria with this easy-to-use travel guide. Staying for longer and want to explore more of the Canary Islands? Try our DK Eyewitness Travel Guide Canary Islands.